Heater didn’t fire when it was supposed to? A sensor failed? You lost your WiFi connection? You’ll know when it happens, in real time, with HeaterReader’s™ instant email notifications. 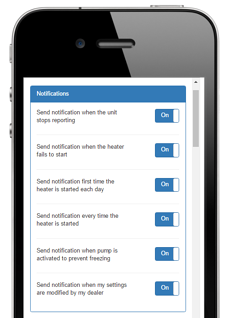 Some alerts can be toggled on and off based on your preferences, such as when the heater turns on, when the pump is activated to prevent freezing, or when someone makes changes to your account. This is done easily using the HeaterReader™ App! Others, such as notifications for when something goes wrong with the system, are sent automatically. That way, you can be sure to know when there is an issue, allowing you to resolve the problem before it becomes a major expense. Manage multiple swimming pools? It gets even better! 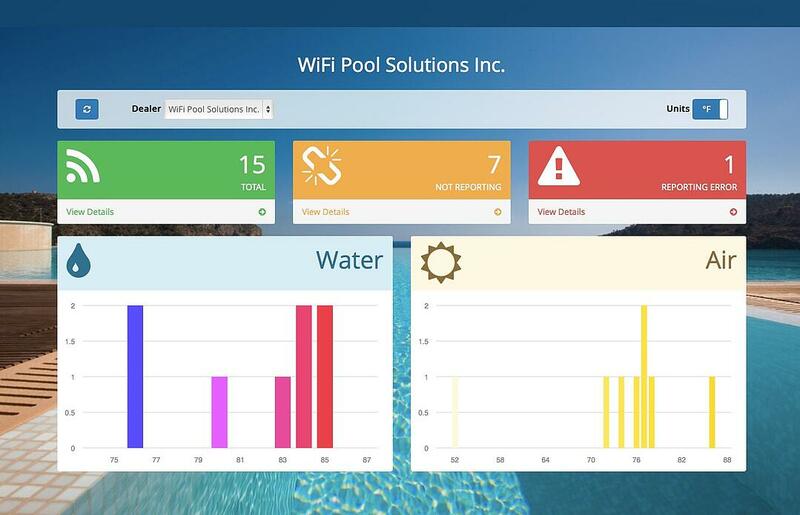 Not only will you receive real-time notifications, you will be able to use the HeaterReader™ Control Centre to monitor multiple pools at once!